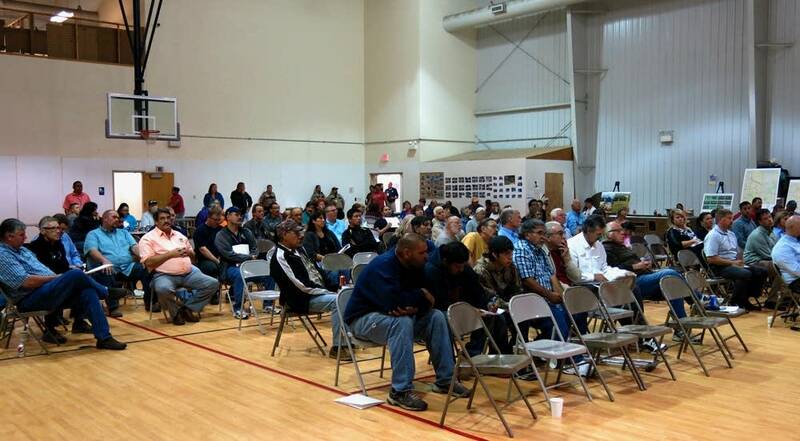 White Earth doesn't want another oil pipeline. 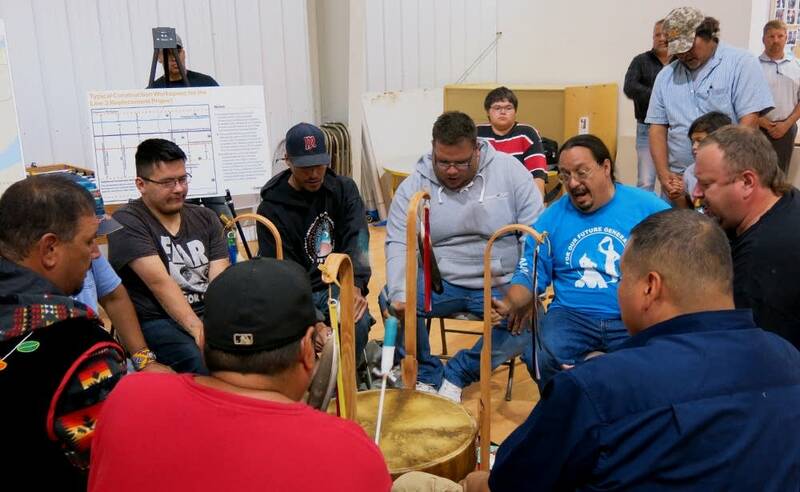 Tuesday's hearing at the Rice Lake Community Center was an early part of the state review, and a rare glimpse into the specific concerns held by tribe members. 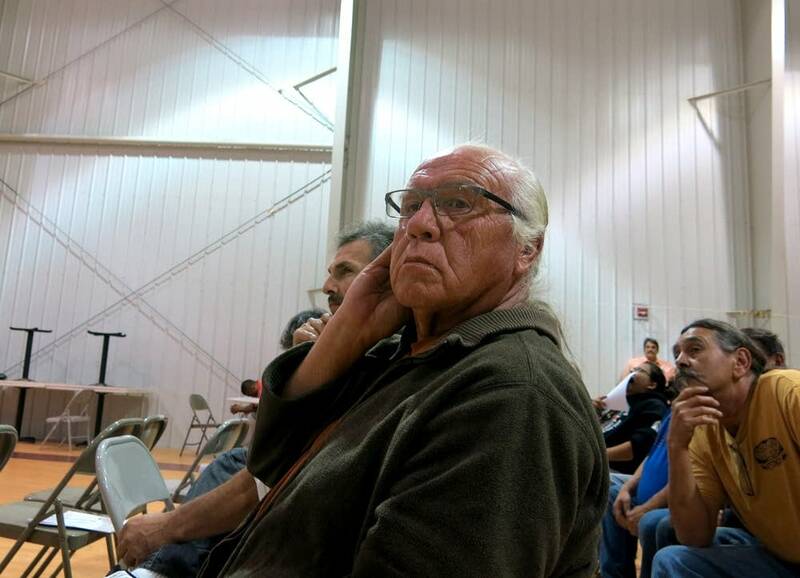 Most, like White Earth member Leonard Thompson, are vehemently against the Sandpiper line, which was recently granted a certificate of need by the PUC, and don't want another line pumping tar sand oil alongside it. "Eventually something is going to go wrong with a pipeline," Thomson said, "and then our land is ruined." Thompson grew up in a tar-paper shack a few miles from the where the hearing was held. As a child, he gathered wild rice and his father fished for bullheads to feed the family. Even a small leak from a pipeline, he said, could damage the natural resources that fed him. Thompson was one of many to voice concerns over the possible impact of the new Line 3. Frank Bibeau was more concerned about the old Line 3. Enbridge plans to replace 1,031 miles of the old line, across northern Minnesota from Canada to Superior, Wis. That means decommissioning the deteriorating 34-inch pipe and laying new 36-inch pipe next to it. But Roughly 300 miles of that line, from Clearbrook, Minn., to the Wisconsin border, would deviate from the current Line 3 route and follow the proposed Sandpiper route. The new line would be capable of pumping twice the oil, but the old Line 3 pipe would stay in the ground. "They're just going to let it rot," Bibeau said. "It's guaranteed to be a problem at some point." 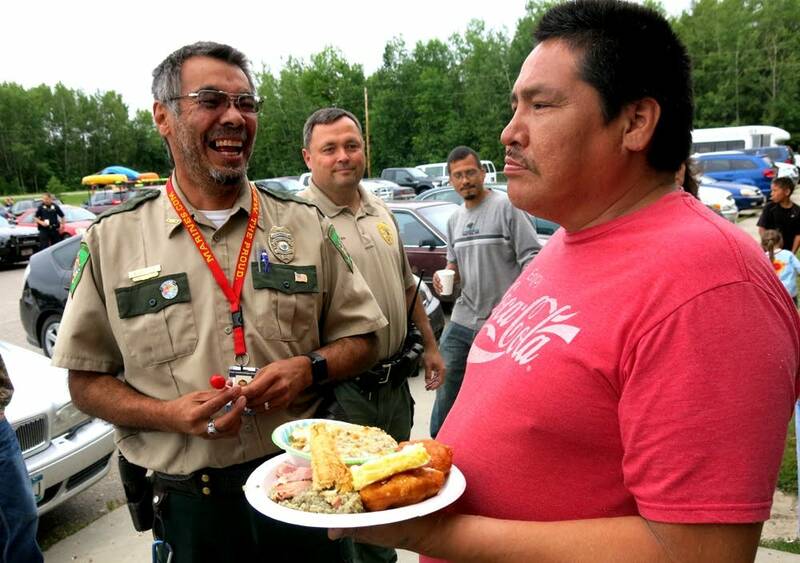 Bibeau is an enrolled member of White Earth, but lives in Ball Club, Minn., east of Bemidji along the current Line 3. He hopes to get the old line torn out. "Time is longer for native people," he said. "I don't think in decades. I think in centuries. Eternity." Even if the abandoned line is safe for 50 or 100 years, he said, at some point it will break down. Labor union representative Dave Becker also lobbied Enbridge to remove the old Line 3. Becker considers himself an environmentalist, one of a very few to speak out in favor of the new project. The old line has problems, he said. It has had problems for a long time. Decommissioning that line and building a new one, he said, is the safest thing for the environment. "If you care about clean water," he said, "you should want newer pipelines." Hours of arguments for — but mostly against — the project, were made before a panel of PUC and Department of Commerce officials. Many of the arguments were complex, but for White Earth spiritual leader Michael Dahl, it's a simple issue. For him, it comes down to wild rice. "Rice is everything," Dahl said. "It's the first solid food our children eat, and the last meal of our dying elders." The proposed line would run close to Lower Rice Lake, a body of water that produces 200,000 pounds of finished wild rice every year. Just about everyone on White Earth rices that lake, Dahl said, knocking the grains into the bottom of canoes. They sell the rice and eat the rice. It figures into legends and ceremonies. A spill, Dahl said, wouldn't just dirty the landscape, it would bankrupt the spiritual and physical resources of the community. Most people at the hearing didn't hold out much hope of stopping the pipeline. "Money talks," Thompson said. "It's coming through. The best we can hope for is to delay it." Bibeau, too, said the hearing might not change much. Dahl isn't so sure. The Sandpiper route preferred by Enbridge doesn't cross any Indian reservations, but would cut through a large area of lakes and forests in northern Minnesota where treaties give tribes the right to hunt, fish and gather. 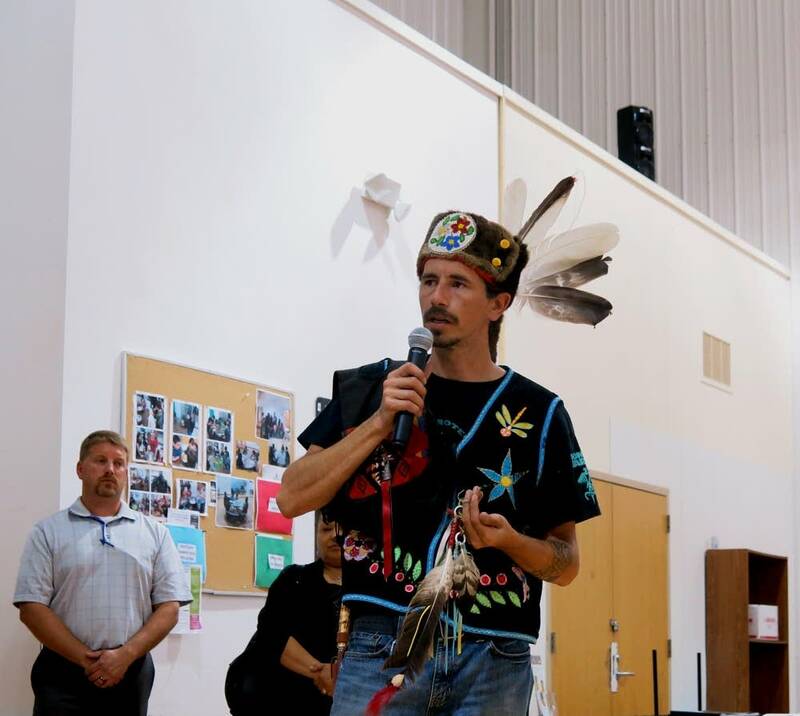 Dahl believes those treaties will protect the wild rice, and stop the pipeline. "I wouldn't take on a fight I didn't think I could win," he said. Editor's note: An earlier version of this story incorrectly reported that Enbridge plans to remove some parts of the old Line 3.